My regular readers know that I am currently mentoring a group of five couponing bloggers to document what we do as blogging case studies and create a blogging collaborations process. Learned about keyword research and using anchor text. Chosen three keyword phrases to focus on first. Developed three landing pages for those three keyword phrases. Benchmarked current blog and social media stats. Details on each of those six steps are available in the links at the top of the page. The frugal blogger deal collaboration that I won from Gail at GrowMap as far exceeded my expectations! In addition to the regular tasks she gives us to improve our blog, SEO, page rankings, we have really formed a bond. The five of us go to each other with any questions! than a month than I have in years of blogging. We are really taking off and have even started kicking around the idea of publishing books! The next step is to make sure each of their blogs are listed in the major blog directories and the profiles for each one are complete. Just as having your site listed in search directories, blog directories can be a source of additional traffic and provide additional incoming links. They are also a good way to find other bloggers in your niche to collaborate with or read. Some of the sites below will not have smaller blogs listed. Add yourself if you can and complete any information that is missing. Some blogs will not qualify to be listed on all of these so just do the ones you can. Some directories require reciprocal links. Scroll down and click Edit Your Listing. Add keywords relevant to your blog. To add a site description to Compete you have to create an account at ZoomInfo and let them pull the information from there. See How to Add Your Blog to Technorati. Look through the Blog Engage Top Users and connect with any you know – or want to meet. Consider using the BlogEngage RSS feed service if you can afford $1.99-$9.99 / mo. Ileane has some older videos about Blog Engage and the Blog Engage Community. NOTE: You have to get 20 followers before your blog will show up in the primary search. Click the button to find blogs with less than 20 followers. Log in to submit a site. 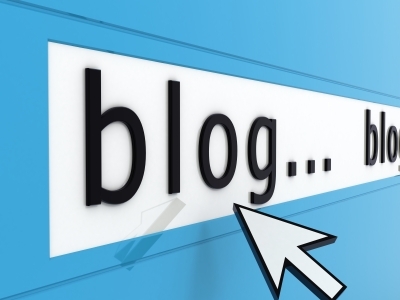 Not all blogs will qualify to be listed on AllTop as they are quite selective. Blogarama – unclear whether they are charging fees for listings or not. TopRank has them listed as a fee directory. There are literally hundreds of blog directories, some free and some paid, some with significant traffic and others almost unknown. Each collaboration should review some of the blog directory lists and pick out any that they feel will benefit their group. There may be a blog directory specifically for your niche that would be worth using even if it has a lower PageRank and traffic because the visitors it sends would be more targeted. Since I last researched this subject, one of the largest and most important blog directories have gone away. Ignore listings for MyBlogLog (killed by Yahoo!). Top Rank Blog Directories List – when you feel ambitious you might do all of these or at least all those that don’t charge fees. Mavis Nong of Attraction Marketing singled out two I haven’t used: thatMLMbeat and BlogTopList in her post 10 Ways to Promote Your Blog. NEXT: Once you ensure your blog is listed, connect with each other on those directories and write reviews of each others’ blogs. BONUS: Search for, follow or friend, and review other blogs you admire. If they are sharp and frequent that site or get notified they are likely to reciprocate. Any blog you like enough to review may be one you want to add to your Twitterfeed and connect with on Twitter and elsewhere. If you have questions about any of the above ask in the comments or send me a tweet to @GrowMap. If you have a group of five bloggers interested in free mentoring contact me using the information on the contact tab at the top of this blog. I encourage other bloggers to share their recommendations for additional blog directories to be added to this post. If you have a video, how-to post, or a review please do leave links in the comments. I frequently move them up into the body of the posts here. In a hurry to promote your blog? 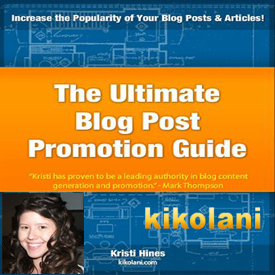 You may want to read my review of Kristi Hine’s (@Kikolani) Blog Promotion Guide. Marvelous, what a web site it is! This website presents valuable data to us, keep it up. Thanks for this awesome directory list. It will sure help us to get better exposure. Looks like the couponing blog collaboration is going well. Great lists. added them to my directory favorites. It would be nice if you added a date when you have updated/added to the list. That way it is easier to see what is recent. Wow, just to show you how much of a newbie I am, I didn’t even know about blog directories. I wonder how useful they are if you are working without a collaboration of other bloggers. I will definitely check them out. Thanks for the list. They make your blog easier to find and provide incoming links. Whether you are currently collaborating or not it is a good idea to list your blog in them. Thanks for the list of blog directories, definitly gonna use a few of them. Some was new and some i already knew about. Im thinking of trying one that you pay for but I think its same same or? Sounds a great list. thank you for sharing this information. Yes, collaborative blogging would definitely help the bloggers and the readers. Excellent collaboration you have here. Blog directories are very powerful and can help one to gain some exposure and generate traffic. Thanks for sharing and for your kind mention. Mavis Nong would love you to read ..Ask Mavis – Should You Be Posting on Other People’s Walls on Facebook? Thanks for this directory list! Any one tried payed directories? They are better or not? I have not personally listed my blog in any paid directories. Perhaps someone who has will reply. I think this is a good strategy as long as you stick with the good directories. If the directories don’t look respectable then don’t bother listing your site – it’s not worth the effort. There’s some god one’s i that list though. This is one of the great directory link have got and soon going to place those directory links on my blog too. You don’t have to add www. before that URL to get there. Just so you know, you are welcome to add relevant links in your comments here. growmap would love you to read ..New Research: The Number one Thing Buyers Want to Find on Your Site? The Price! Thank you so much for taking the time to comment. Bloggers reading strategies will be encouraged when other established bloggers concur on what to do next. I didn’t realize Alexa had a blog directory; good to now. Damn shame what happened to MyBlogLog. In the traditional sense Alexa isn’t a blog directory per se; however, since it is one of the more important places to have your blog listed I included it in this step of the collaboration process. Yes, it IS a shame that Yahoo! intentionally killed off MyBlogLog as that one was one of my favorites. You never know what The Borg will do when they acquire something. I’m wondering whether Google is going to resurrect PostRank or kill it off. The word is out, don’t sell to Yahoo if you care at all about its future. I’m a little surprised no one purchased it, or if they even put it up for sale first?? Delicious was bought in the nick of time. I’ve never used PostRank, but I understand it is worth it. Why is CL not going past the top post? Dennis Edell would love you to read ..40% Off! – Hostgator Hosting – Today Only July 4th! Hi Gail, this sounds like a very productive challenge and it should prove rewarding for everyone. The other one is Bloggers.com and you can sign in with Twitter for that one. One word of caution about adding to Technorati – I think you can add the claim code to a recent post and they will still pick up on it. The instructions might tell you to make a separate post, but then it goes out to your feed and anyone who has you on Twitterfeed and it looks pretty weird when you do it that way. But I must say that it’s a great way to find out who is linking to you because I check there frequently and find links that I would miss otherwise. Always a pleasure to have you drop by and add your insights and tips to the mix. I will add the two directories you mentioned to the post and link to your post about Blokube. As you can probably tell my blog is rather new and about a month away from adding a significant amount of content. Should I wait until my blog has more content before I begin registering for these directories? I am concerned that maybe I will be rejected as I only have two posts so far. Many of the directories don’t decline requests to be included, but you would probably want to focus on publishing more content first and then getting your blog listed. You might find some of the information in my blogging priorities post useful to you. Thank you for clearing up my question. I greatly appreciate it. Gail’s advice is solid, I just wanted to add two things. 1. Most questions like that are answered in the directories TOS…or whatever they label their instructions. 2. Keep in mind its not only the directory owner you want to please. More importantly it is the readers themselves. No one is gonna wanna get excited over a new blog, only to find a small handful of articles. There is a fine line though, on the flip-side if you have an excessive amount of articles before you start promoting, most will sit in the archives never to be seen.